It is mystifying to us of the realms who exist in an environment of wonder how quickly humanity dismisses the magical, the mystifying, and the mystery. Wonderment and magic are delegated to childhood imaginations and the realm of play. 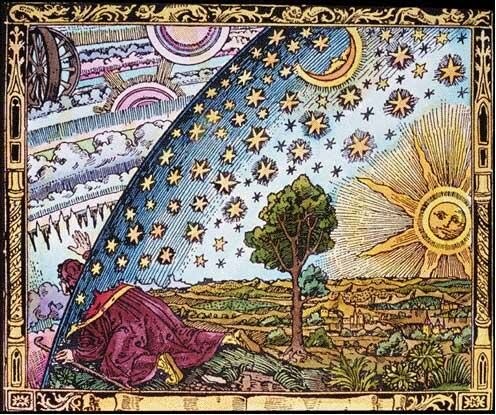 These three arch-aspects of the realms—the magical, the mystical and the mysterious—are conduits and avenues of information and understanding for humanity’s growth. They are pathways to perfection. They entice the human spirit to reach beyond the seen to that which has yet to be perceived. How disheartening a life and reality that does not contain these elements. Humanity’s analytical and logical thinking hinders their ability to step outside preconceived norms, regulations and natural laws to experience elements of their reality that reach beyond the known. We invite humanity to let the magic in again. Once that magic, mystery and mysticism are acknowledged, the floodgates of spiritual awareness and interaction will be open and your lives and your world, your very being, will be immersed in a sea of spiritual awareness. For a child has not preconceived limitations to what the world can be—or should be—or could be. A child plays in the imagination and it is real. It is only over time and misdirection, misinterpretation by those who guide them to maturity that they are admonished to let go of their childish ways. Dearly beloved souls of light, you are the children of the universe. God is the wonderment of a child expressed in the infinite consciousness of eternal creation. We are children and we invite you to be a child and let the magic in. As you have marked the passing of an old year and invited and welcomed the new, you made resolutions and commitments for a better life, eating patterns, behaviors, attitudes. How many, if any, made the resolution to let the magic in? The magic, the mystery, and the mysticism hold the answers to an ever increasingly chaotic world in which you dwell. The child, in all its wonderment, can see the most dire of circumstances and situations as an opportunity, as an event filled with possibilities and potential. Everything in your reality, every moment of your day, every breath that you take, every circumstance that you experience, every event that humanity encounters, exists for the sole purpose of bringing you into an ever-increasing experience of who you are and where you dwell. If you wish to eliminate or minimize chaos, confusion and consternation in your life, look for the mystery, look for the magic, look for the mysticism. For those three aspects of the realms neutralizes, minimizes and eliminates the impact of negative ego thinking. So make the resolution to let the magic in. Affirm each day your willingness to accept it, to see it, to experience it and you will transform your lives.